Ten Things to do in Delhi on your Next Vacation - Be On The Road | Live your Travel Dream! India boasts of some of the most interesting cities to visit in the world. From the cosmopolitan city of Mumbai that is rightly called the ‘City of Dreams’ and the business hubs in Bangalore that are brimming with IT parks to the capital territory of the country that gives a glimpse of life in the north, one cannot deny the charm this country holds for anyone visiting here. It is, therefore, not surprising to see celebrities heading out here to add a touch of ethnicity to their weddings and vacations. 1) Wander the streets of the city: The thriving streets of Delhi that have much to offer is a sight to behold. The plethora of colors augmenting the streets in a way that is pleasing to the eyes make roaming the streets a must while you are in Delhi. 2) Binge on local delicacies: From crunchy gol gappas to the stuffed kulchas that are served on every major street, finding local delicacies to gorge on should totally be on your list of things to do as you roam around Delhi. 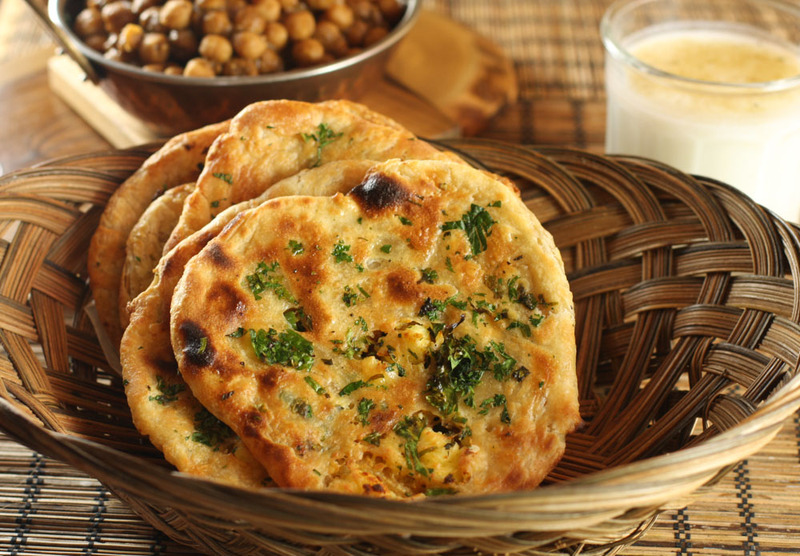 You would rarely come across the scrumptious north Indian delicacies served here elsewhere, making it important for you to go food binging while in the capital. 3) Ride the metro: The metro at Delhi has had its share of fame and popularity since it was first launched. Hordes of people made it a point to travel in metros, saving them a lot of time as well. Those visiting Delhi for a holiday too, often, have a day set aside to travel in metros to get a true Delhi feel. One can hardly blame them considering the amazing construction on the metro lines that gives commuters a wonderful view of the city from the metro. 4) Check out historical monuments: Delhi has a number of historical monuments that are worth a visit anytime you visit the state. The beautiful Red Fort, striking Qutb Minar, and architectures that depict ancient India through its beauty and exquisiteness should definitely be visited at least once in your lifetime to get a glimpse of how truly beautiful India is. 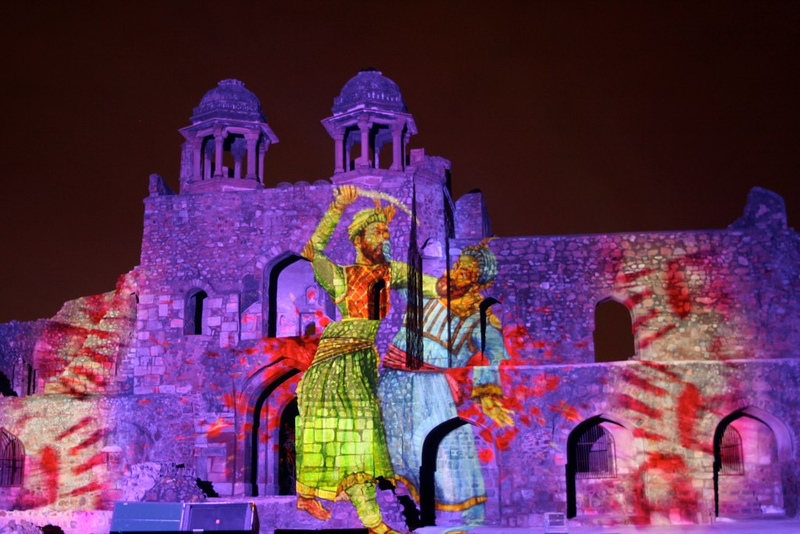 5) Witness the light and sound show at Old Fort: Visiting the Old Fort gives you another reason to look forward to with the light and sound show adding to the charm of the monument. Taking place at night between 7 to 8 pm in Hindi, and 8:30 to 9:30 pm in English to give tourists a glimpse into India’s history, you can easily get tickets to the show at affordable prices. 6) Shop at the famous Chandni Chowk: Vacationing anywhere in the world warrants a shopping spree to get memorabilia back home. Checking out the popular Chandni Chowk bazaar can let you come across a number of traditional and classy items that you could use to complement your usual style. Apart from clothes and accessories, there are quite a vast number of things that can be purchased here at prices that are both reasonable and totally worth it. 7) Take a look into the National Gallery of Modern Art: If you are a lover of art and creativity, visiting the National Gallery of Modern Art should definitely be on your agenda while you are holidaying in Delhi. 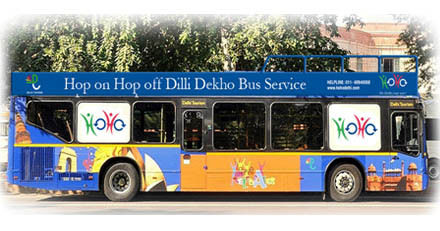 8) Take a ride on-board the HOHO bus: The Hop on Hop off bus, or HOHO bus as it is widely called, was introduced as a means to give people a glimpse of Delhi in the most convenient way. You can take a tour of Delhi on-board the bus at your convenience and make the most of your time as you take in everything this place offers. 9) Relax at a book café: For those who prefer tranquillity, heading to a café that has a library in tow can be a great way to feed your mind along with your stomach. You can easily kill two birds with one stone with this perfect combination of books and treats. 10) Spend time at Lodhi gardens: You can spend a leisurely time in the Lodhi gardens by taking a stroll in the cool of the day to enjoy the pleasant weather while treating your eyes to the beauty of the surroundings. 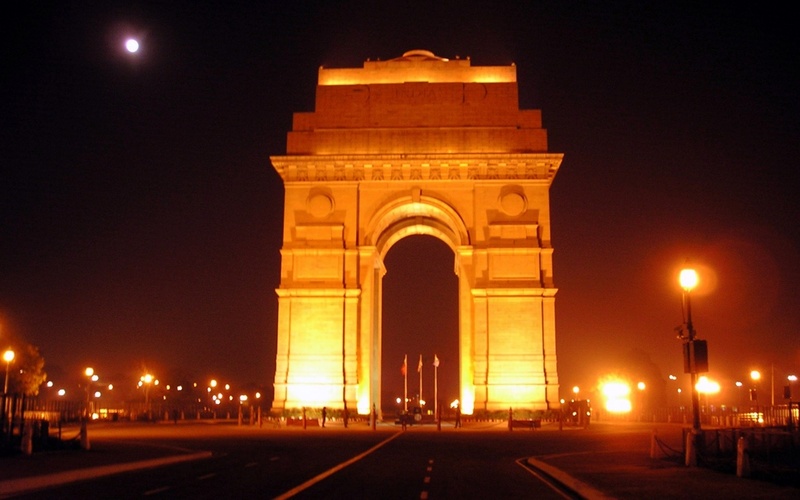 So make the most of your time in Delhi by taking in everything the place offers.